Think of these luscious little balms as utterly nourishing face treatments! My gorgeous selection of day balms are super rich, easily absorbed and perfect to give your skin not only extra nourishment but also a natural protective barrier. Each balm is chock full of my potent, skin healing infused oils. Gentle, restorative and calming they will ensure your skin is soothed and protected. You only need the teeniest amount to make the biggest difference to your skin (and they all work wonderfully well alongside your SPF). Apply the balm to freshly cleansed skin before you apply your sunscreen. This will enable the balm to not only treat your skin but also provide a protective barrier from the harsh, irritating chemicals in your sunscreen and the elements. 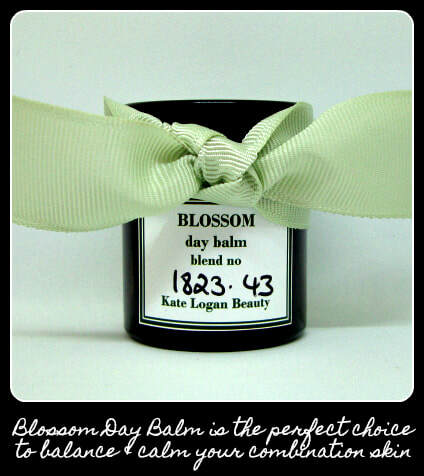 Blossom Day Balm is the perfect choice to balance and calm your combination skin. Bring back balance to your skin with this fabulously floral balm. Rose Geranium has an amazing ability to treat combination skin without irritating, add a dash of my brightening Parsley Oil and softening Sweet Violet Oil and you have the perfect blend to harmonize and heal skin that is prone to both oiliness and dryness. 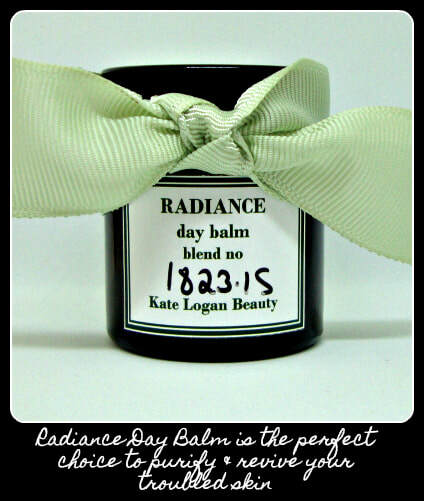 Radiance Day Balm is the perfect choice to purify and heal your blemish prone skin. Oily, acne prone skin needs a gentle touch. This soothing, healing balm is full of natural ingredients to help calm and soothe troubled skin. Gently astringent Plantain combines with my healing Gotu Kola Oil, gentle anti-bacterial Patchouli and antiseptic Rose Geranium to create a blend that will help heal the breakouts, calm oil production and help nourish skin. 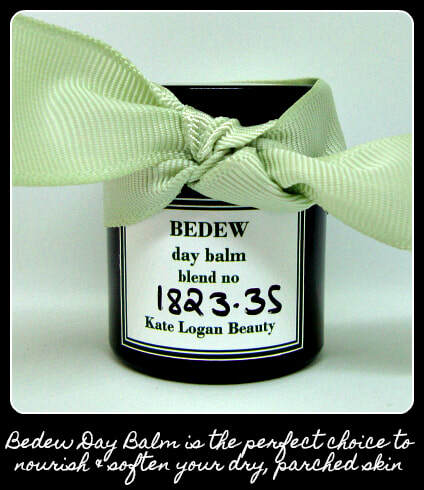 Bedew Day Balm is the perfect choice to nourish and soften your parched skin. This deliciously rich balm will drench skin with much needed hydration. Renewing Carrot Seed Oil (naturally rich in rejuvenating Vitamin A) and my gloriously softening Chickweed Oil make this a great choice to remedy dull, dry skin. 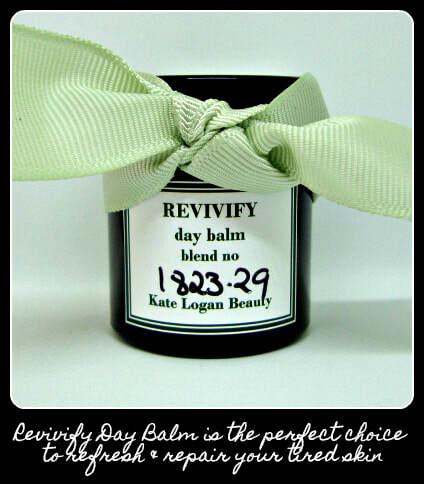 Revivify Day Balm is the perfect choice to refresh and repair your tired skin. Heal damaged and neglected skin with this regenerative and hydrating blend. My skin reviving Patchouli Oil combines with my repairing St John's Wort Oil, toning Lavender and refreshing Palmarosa to create a blend that will help remedy skin that needs a real boost to restore it's luminosity and tone. Cherish Day Balm is the perfect choice to nurture and protect your sensitive skin. Nourish and calm your skin with this strengthening balm. With calming Rose Otto, regenerative Rosewood and my super healing Marshmallow Oil, this balm is perfectly suited to sensitive, rosacea prone skin. 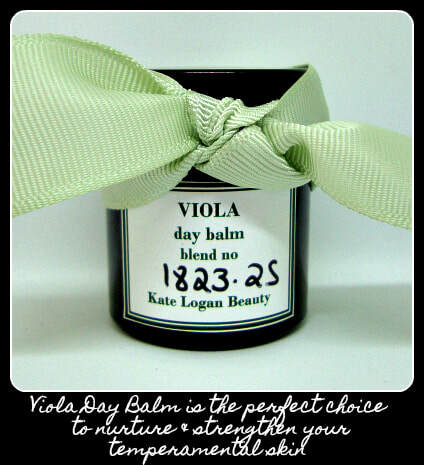 Viola Day Balm is the perfect choice to nurture and strengthen your irritated skin. Nourish and protect extra sensitive skin with this super soothing day balm. My healing Viola Oil combines with revitalizing Blackcurrant Seed Oil (rich in skin soothing gamma linolenic acid) and my cooling Sweet Clover Oil. The result is a balm that will hydrate, protect and strengthen fragile skin.